Microsoft’s global commercial partner channels and programs corporate vice president, Gavriella Schuster, is stepping in to lead the vendor’s One Commercial Partner (OCP) business, as its current head, Ron Huddleston, steps away. A Microsoft spokesperson has subsequently confirmed that Huddleston is on family leave indefinitely, and that Schuster has taken on his role leading the One Commercial Partner business in an ongoing basis. Earlier this year, Microsoft outlined the changes that would be wrought following the creation of its One Commercial Partner business, with the vendor bringing together partner-focused teams from across the company into one organisation, under the newly created division. As reported by ARN, the division -- until now, headed up by Huddleston -- combines partner teams across the company. Before coming to the role, Huddleston was widely credited with playing a major role in building the AppExchange marketplace at Salesforce, alongside launching the software giant’s cloud-based channel, OEM (original equipment manufacturer) and ISV programs. 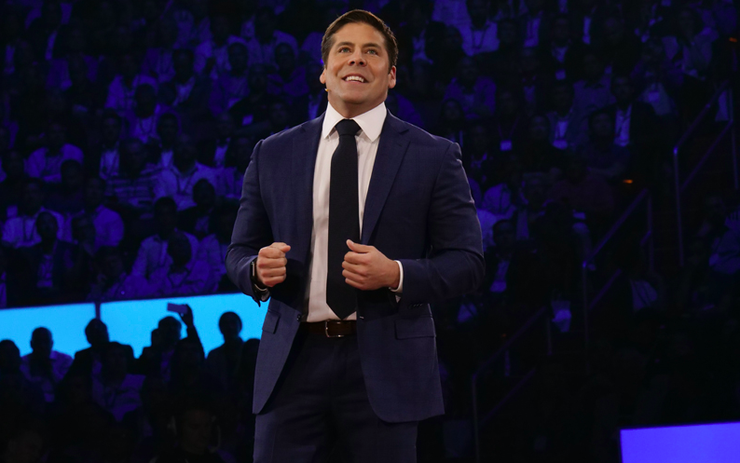 Prior to helping create and head up Microsoft’s OCP business, Huddleston held the role of internet of things (IoT) cloud senior vice president at Salesforce, a role he took up after several years as the vendor’s AppExchange senior vice president. In July, during the Microsoft Inspire 2017 event in Washington D.C., Huddleston delved into the channel implications of the new OCP business he helped develop, outlining future opportunities for partners. “One Commercial Partner harnesses our partner expertise and knowledge – technical, marketing, business development, and programs,” Huddleston said at the time. Locally, the new business and the structural changes that led to its creation eventually saw Mark Leigh appointed to lead the One Commercial Partner division in Australia. Leigh had spent the better part of the previous two years as Microsoft’s small, midmarket solutions and partners director in Australia. A number of other local management changes ensued following the launch of the new division. The business's new global lead, Schuster, who, it is understood, is stepping in to lead the division on a permanent basis, held the role of worldwide partner programs and marketing general manager for Microsoft until mid-2016, when she took up the commercial partner channels and programs lead. She has also held the roles of general manager for Microsoft’s cloud and enterprise business, Windows PMG general manager and enterprise services director.